Yes, after installing Momentum just click on the Stay logged out button that appears on the "What's your email?". If you decide that you would like to have your Momentum data stored on an account you can always create a Momentum account later. A Momentum account syncs your Momentum data so you can log in from other computers to see all of your Momentum data (Focus, Todos, Links, etc.). A Momentum account automatically backs up your Momentum data. A synced profile won't lose any of its stored Momentum data if your computer runs into any problems. 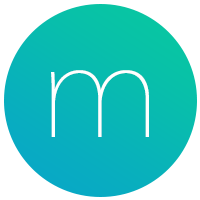 A Momentum account will sync between various browsers and devices. Right now Momentum is only available on Google Chrome, but when it is made available on other browsers and devices your existing Momentum data will be accessible. Why is Momentum asking to view my physical location?